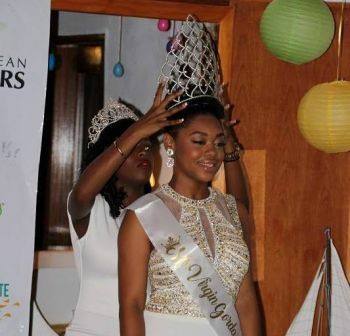 Many persons are of the view that there are way too many pageants in the Virgin Islands (UK), while of course others think there is nothing wrong and applaud it. 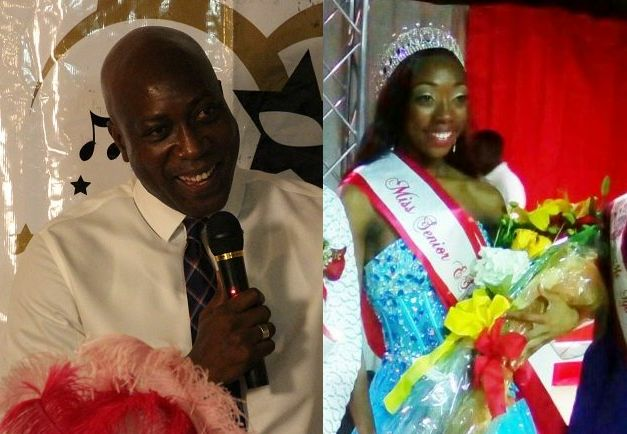 One such person who supports pageantry is the Minister for Education and Culture Hon Myron V. Walwyn (AL), who testified that he saw the growth in his daughter, Mya A. Walwyn, the present Miss Senior Elmore Stoutt High School. Speaking at the coronation ceremony of Alondra C. Ephraim as the 2017 Miss Virgin Gorda Easter Festival at Norma’s Lounge at Fischer’s Cove in Spanish Town, Virgin Gorda, on Wednesday April 12, 2017, Hon Walwyn said pageantry is hard work. “I think at times we don’t appreciate how much is required to go into pageants. It requires a lot because I saw it in my own home when my daughter decided to run for Miss Fifth Form,” he said. While there are many pageants every year in the territory, there are not always many contestants. The reason is anyone’s guess but some have blamed it on the harsh criticism that the public often metes out to contestants. Meantime, Hon Walwyn also took the time out to applaud what he thought was “heartwarming” that the younger generation of the founding members of the Virgin Gorda Easter Festival is taking over from the elder relatives to keep the festival alive. One such example he gave is the present Chairperson of the Virgin Gorda Easter Festival Sub-Committee, Sasha D. A. Flax, who is the grand-daughter of Mr Andy Flax, one of this year’s honourees. It does take a lot of confidence to enter any pageant knowing how critical people can be. The girls who have overcome that have made a remarkable step in their lives. How myron say vino do not cover him? The territory have many individuals home and abroad who can make a significant difference in positive professional development and enhancement. The downfall comes under the phrase: "Talk is cheap but money buy land." Our support base is our government who should prioritize when it comes to our revenue earn and they spending it. Why should a Minister be begging for funds for areas in crucial need and then mismanage what is available???? It goes to show that all the nice talk is just hot air because at the end of the day, Mr. Minister and power find ways to rip you off by the hour. @ things that make you go Hmmm: and the Church said Amen!!!! yes ,, as SOON as you show up to apply , or rehearsal ,, the pageant team , makes it KNOWN by their actions , who is the preset winner . You seemingly have tunnel vision, hence you failed to conceptualized what Mr. Walwyn was referring to. Additionally, in my view, there is nothing wrong regardless of rank or status in a parent celebrating the success of his offspring, notwithstanding your view on the economic climate. Ok funnyman, You caused the fact of many offsprings as you mentioned to go off course. Green leaves from a tree eventually dries up. Only now you see how hard people does work when you daughter did what she did. Kudos to her but stop mismanaging our kids future and spend in the territory's best interest and not your own. @breaking news...i agree there is more important stuff to think about than pageantry. You mean 4 more years in jail! Luvin all of the pageants. Keep it up!